Yanmar Construction Equipment is part of Yanmar America Corporation. This company started its appearance since 1912, and with this rock solid history became the world’s first commercially viable diesel engine in 1933. With most of the best energy efficient and economic engines implemented through a constant process of development and good expansion of market the Yanmar had the chief goal to promote the quality of life by providing the energy to the machines with utmost efficiency and raising agricultural and industrial productivity. This compact construction equipment currently imports quite a lot of models of compact excavators and compact wheel loaders. Being introduced in 1912, Yanmar proved to have a rock solid history in providing the ample of world wide customers with an eminence class of engines and equipments. The Yanmar with the Construction machinery division, do posses several other divisions such as, Marine, Industrial Engines, Agricultural Products and much more. Though working great with engine production is the mainstay of the company, Yanmar tend to be noted as a leading trendsetter for the Construction Equipment industry. The walk behind Dozer was the first production of Yanmar Construction Equipment in the year 1967. And this Dozer production by Yanmar Construction Equipment was continued till 1973. 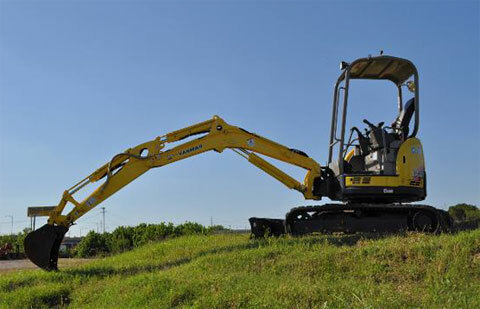 Yanmar have the grade on saying that it is the world’s first to build the compact excavator, which was introduced in the year 1968. This steel tracked machine formed to be the origin for a bang in Japan’s Construction Industry. With the above big success, Yanmar construction equipment division continued to introduce some more products to the Japan market, making it a drill on innovation. In the year 1971, a Crawler Loader and a Carrier Dumper were introduced by Yanmar. These products of Yanmar are both “minis” and became a full-line provider of compact equipment. Yanmar was unrelenting to try out with different types of compact equipment throughout the 1970’s. This resulted in the innovation of a Skid Steer Loader, a Crane Carrier and a Loader Backhoe. Yanmar construction equipment division does not stop with these. All over again with another first innovator in the compact construction equipment, in 1979, Yanmar construction equipment division introduced the first excavator with rubber tracks, and the modern compact excavator. In the year 2004 Yanmar Construction Equipment Co., Ltd, Yanmar Construction Equipment Sales Co., Ltd. Established with Yanmar Agricultural Machinery (Thailand) Co., Ltd. were established. There were also advancements and improvements made towards the products that are been innovated by the Yanmar construction equipment division. By the year of 1987, the B series excavators were launched and highly developed through three model improvements and progression in technology. 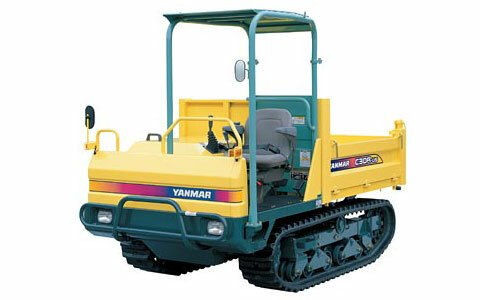 Even though it showed a variety and advancements in its novelty Yanmar construction equipment division had its work continued with the innovative introduction of the Vio series in the year 1994. This ViO series tends to be the first full line “true zero-turning” radius machines. Yanmar with all these innovations and improvements is sure to continue in developing and offering the more innovative products. One main reason behind this is that the Yanmar is stanch to offer more products in the North American market. As to conclude on this it could be said that Yanmar’s core target is to promote the quality of life in way providing the energy to the machines with maximum of competence. Iam trader of heavy construction equipment so iam interested in your product. What Can Business Owners Do to Help Improve Fall Protection in The Workplace?